At this year’s LDI show (Las Vegas Convention Center, October 19-21), CAST Group (Booth 2255) will showcase the very well-received release (R41) of its wysiwyg lighting design and previsualisation software in the USA for the first time, as well as providing a spectacular demonstration of what can be achieved with its BlackTrax real time tracking technology. The company will also launch a new global training program. 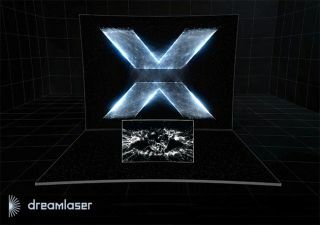 Lighting for the demonstration – which will include the opportunity to get hands-on and will feature live performances and interactive games - will be powered by Luminex; media support will come from disguise and Notch; L-Acoustic will provide 3D positional audio; and projectors and PTZ cameras will be from Panasonic. New native software for broadcast - powered by BlackTrax, and currently under development - will also be demonstrated at LDI. “Our goal with Phase 1 of the system - that will be on show at LDI - is to aid in the automation of broadcast with the function of not only camera control, but also to become an aggregate control suite for all cameras on a production as well,” Gordon continued. Meanwhile, Andrew Gordon will also participate in a panel – “Shattering the Fourth Wall Through Tracking in Three Dimensions” - moderated by Cirque du Soleil (October 18th: 1:30pm - 3:00pm). Discussion will focus on past projects, current realities, and future possibilities for bringing lighting and video design alive. Director of Education and Training for CAST Group of Companies and Senior Lecturer in Lighting and Live Event Technology at the University of South Wales. Green is a hands-on, practicing lighting designer, production electrician, and programmer with his work spanning throughout the entertainment industry. On October 19 from 10:30am – 11:30am, Stuart Green will present a session entitled “wysiwyg lighting visualisation as a tool for continuing professional development”.